I'm looking to take a spontaneous trip for a long weekend. The date is flexible and the destination can be anywhere in the world. 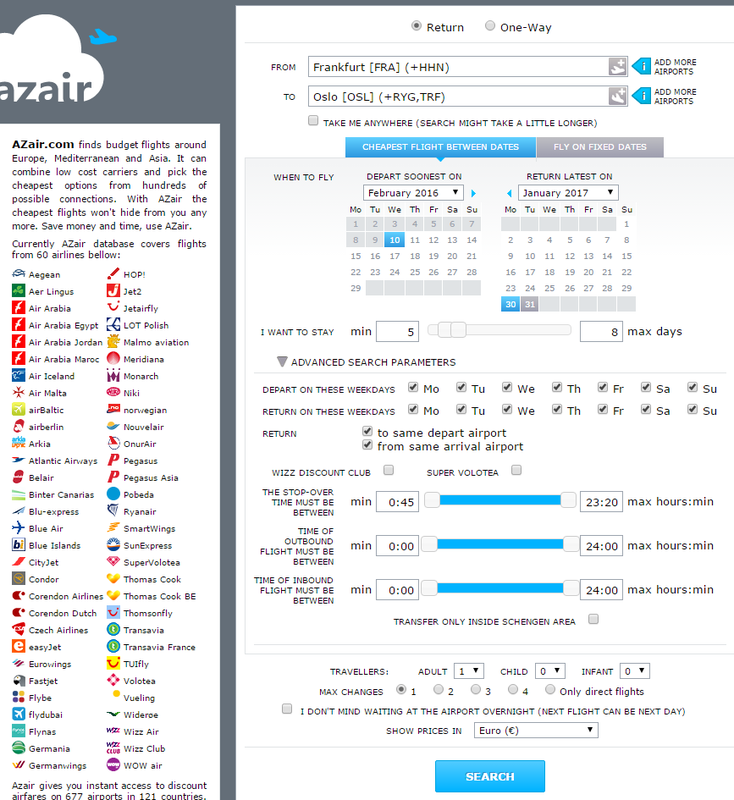 Is there a site that would allow me to search airfares within a date range, while keeping the destination parameters open? Sure. Skyscanner.net can do that. Just pick your departure airport and type in "everywhere" in the destination field. Then, below in the dates, pick either "Whole month" or "Whole year" and click on the Search button. Have fun! 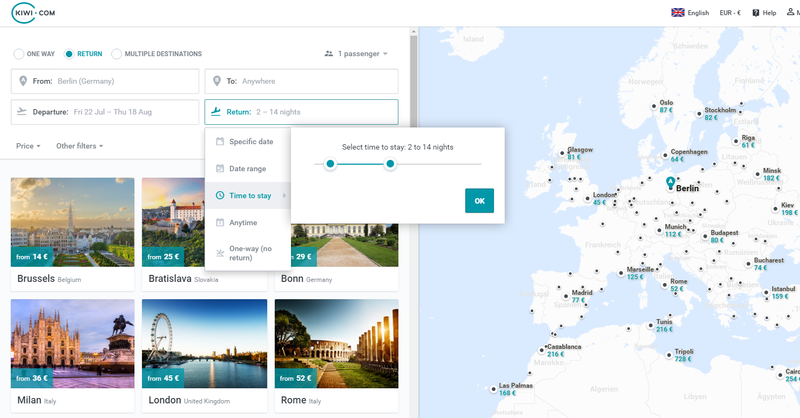 Adioso includes this functionality and also allows searching for flights to a whole country, a broad region (“Arabian Peninsula”) or continent or even from lists of friends or attractions. As specified in my answers here and here, azair has very powerful search options (see the advanced options), including choice of return and departure day, length of stay, period within which the trip should happen and a range of departure and arrival airports, up to the option "Take me anywhere" which is what you are looking for. A similarly powerful search option is kiwi.com, which also offers "to anywhere" as a search option, and has options for specific dates, date range or time-to-stay. Disclosure - I am the founder of wander. Not the answer you're looking for? Browse other questions tagged air-travel online-resources planning vacations or ask your own question.